It has been awhile since I put Asian food on the supper menu. I ran across this recipe on my sons blog; Blogchef.net. It looked really good so I decided to give it a try. This is a simple recipe and fairly quick to put together. 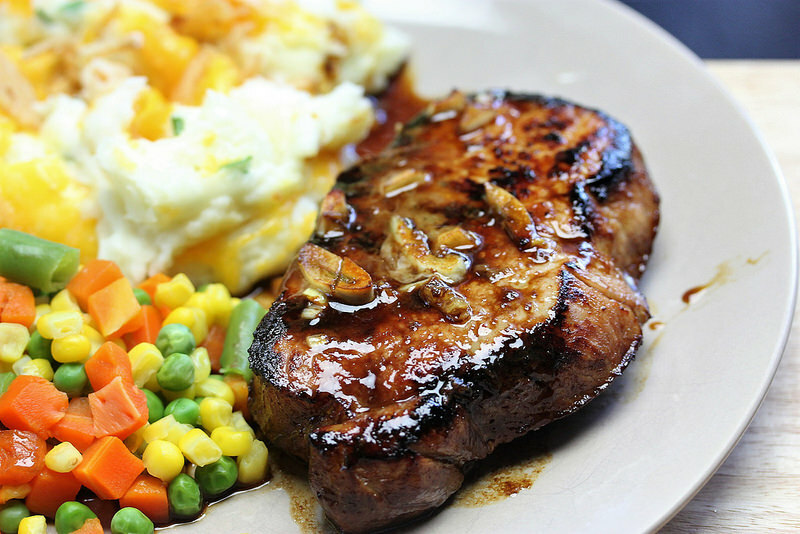 The pork chops turn out juicy and tender with a delicious combination of flavors. 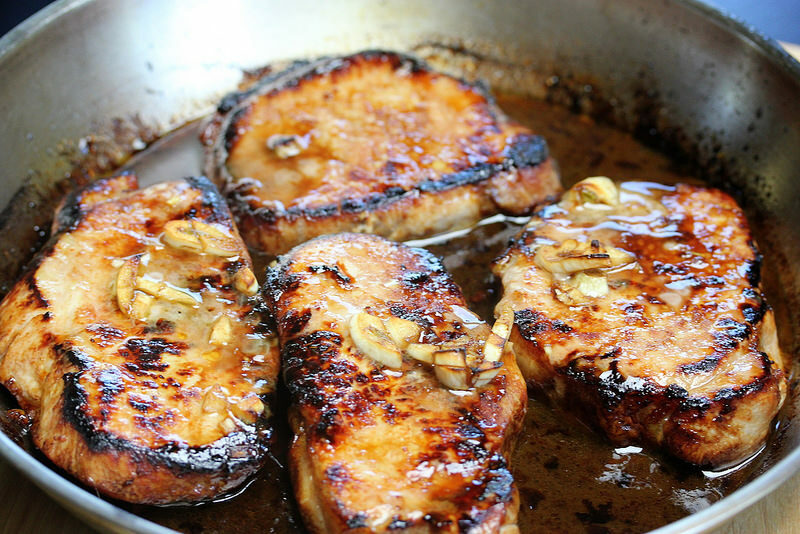 The next time you’re in the mood for Asian food give these Korean Style Pork Chops a try; they are really good! In a medium size bowl mix together the soy sauce, honey, garlic, sesame oil, ginger, and Sriracha sauce. Work the chops into the mixture, refrigerate, and marinate for 20 minutes. While chops are marinating preheat oven to 400F. Serve hot with sauce over the chops.